As the name implies, these skates are primarily used for free skating, dance skating, precision, or synchronized skating. Artistic skates have high leather boots, a jump bar for added stability, and an extremely strong sole plate. Jam skates favor fast and agile movements and are therefore very lightweight when compared to other skates. They are immediately noticeable by their low boot and a dance plug in place of the traditional toe stop. The general public tends to associate inline skates with speed skating more than with quads, but there are some truly excellent quad speed skaters and quad speed skates out there! Speed skates are recognizable by their relative lack of padding. In general, these skates fit more like shoes than other kinds of skates. The boot also sits lower than most other states to allow a greater amount of maneuverability. Speed skates and jam skates are similar (lower cut and lightweight) but speed skates have a toe stop. 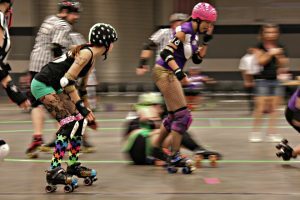 Derby skates feature low cut boots (like speed and jam skates) but are much more padded than other skates (because derby is a contact sport after all). Derby skates also tend to have a strap to help keep the skater’s foot in place better. Rhythm skates are designed for dancing, and feature a high boot like an artistic skate but with a dance plug like a jam skate. 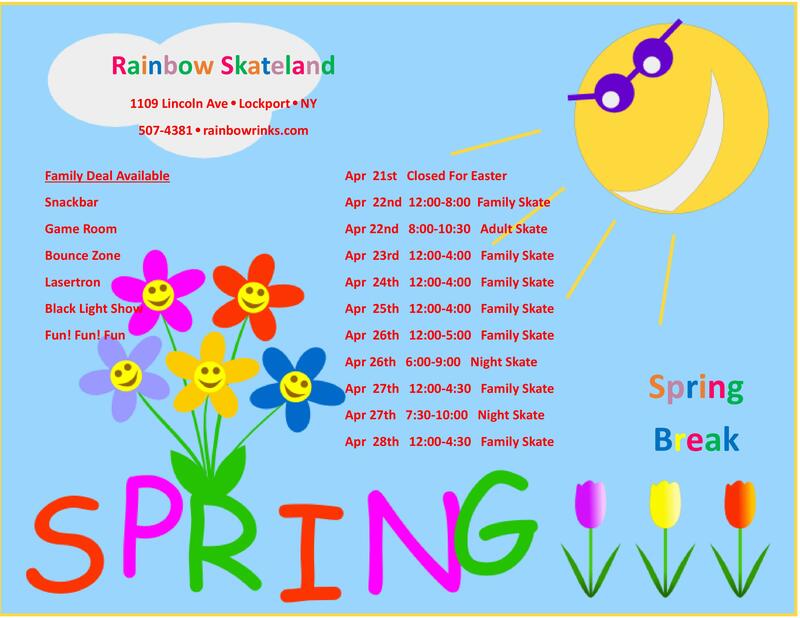 No matter your skate style preference, come on down to our Lockport roller skating rink. And don’t forget to check out all our fun upcoming Lockport events!